Recent studies increasingly show that personality types in animals can vary with time. Personality types including boldness and aggression have been recently reported as important determinants of collective task performance, task specialisation and task proficiency in social spiders. These studies were performed in subadult and adult spiders and over the short term (3–15 days). Therefore, the ontogeny of these personality types and its persistence over timescales relevant to the lifespan of any social spider species remains unknown. In the social spider Stegodyphus sarasinorum, we investigated 1) if early instar juveniles exhibited consistent and repeatable personality types, 2) if personality types persisted over the long term in subadults and 3) if personality types are influenced by subadult body condition. Juveniles (3rd and 4th instars) showed consistent inter-individual differences and repeatability in boldness and aggression (across 21 days). Subadults showed consistency in boldness and aggression over a duration of 51 days, which covers a significant part of the subadult stage. However, repeatability of these traits declined over the long term. Moreover, boldness and aggression were not influenced by body condition (nutritional state) of subadults. Thus, we hypothesise that the early ontogeny of personality and its long-term persistence can influence behavioural propensities and task partitioning through later life stages in social spider colonies. Personalities have been demonstrated in a number of animal species. In animal societies, individuals with different personality types are known to engage in different activities within the group, leading to overall efficiency. Personalities have recently been shown to exist in social spiders. For example, aggressive spiders have a greater tendency to hunt prey than less aggressive individuals. However, for most animals, it remains unknown whether personality types manifest in very young individuals. Here, we show for the first time in social spiders that juveniles have personalities just as in adults. We also show that personality types persist over significant portions of individuals’ life spans. 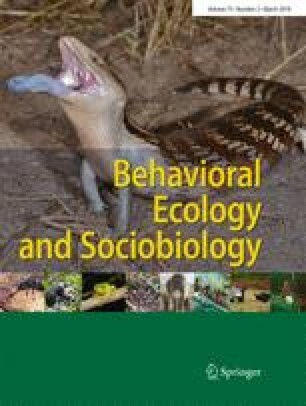 These findings show that stable personality types can be important in collective tasks such as capturing prey. BP and HS conceptualised the study and designed experiments; CHJ and SK and BP performed experiments; BP analysed data; BP and HS wrote and revised the manuscript. This study was financially supported by the Council for Industrial and Scientific Research (CSIR) India.